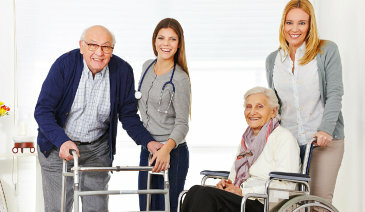 Please select “Patient/Family” below if you or your loved one is interested in availing our home care services. To get you started, please fill out the necessary details in the fields provided. For physicians and care managers, please select “Provider”. You will be directed to a form where you will be asked to fill out the necessary information of your preferred person. Thank you for choosing Angel Care. We value your referrals as much as we value you. For inquiries, call us at 781-281-7485 or 888-98-ANGEL (26435).